The storage container for our printed moveable alphabet finally arrived. I found this thirty compartment box on ebay. 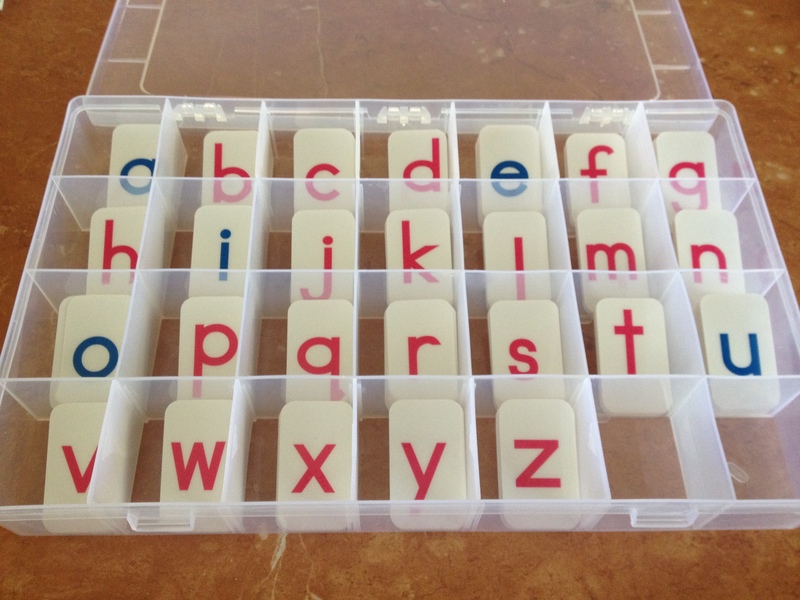 We purchased these print moveable alphabet letters already laminated but you can download and print them from Montessori Print Shop and do it yourself a lot cheaper. We are going to use these at this point for letter and sound recognition and spelling names. We are not looking at doing much more than that at this present moment.